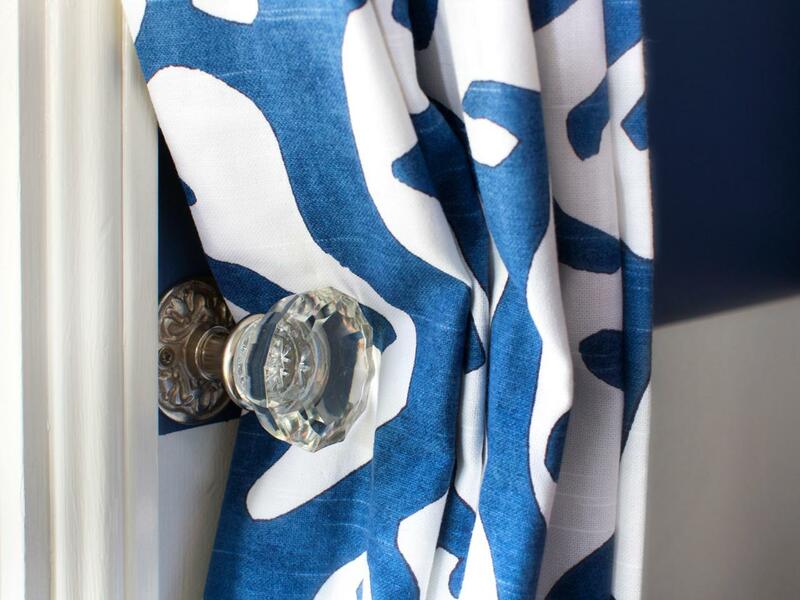 Curtain hardware comes in a variety of types: holdbacks, tiebacks and knobs. 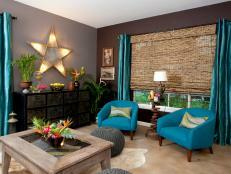 Curtain holdbacks evolved alongside curtains as a way to keep the curtain clear of a bed, room division or window. 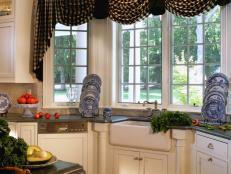 Tiebacks are made of fabric, rope or other soft material, which loop around the curtain. Knobs, like vintage crystal doorknobs, are used like holdbacks. Wooden holdbacks come in a variety of shapes and resembled doorknobs for cabinets. You can find brightly painted animals (cute in a kids’ bathroom), hand-carved knots, Early American discs or ones carved to resemble doorknobs. Fabric and tassel tiebacks are soft goods, as opposed to hardware like holdbacks. 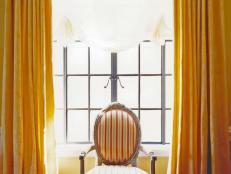 In formal rooms, the tiebacks are often self-fabric, made to match and blend into the curtains. Traditional spaces, in addition, often use metallic braid, silk cord or tassel tiebacks, which are tassels on the end of cords or braids. This type of tieback is a long strip of fabric or cord, with eyes on the end, which loop over a hook or nail on the wall. 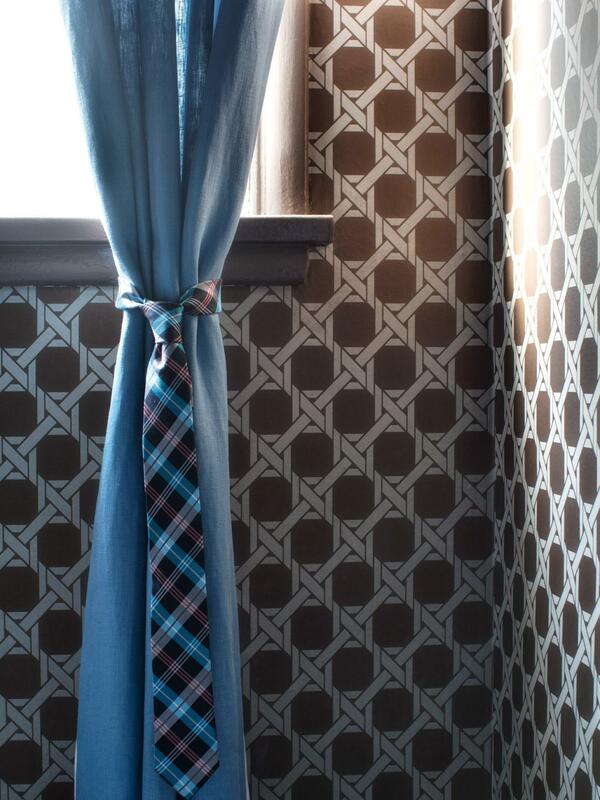 Add unexpected touches with neck ties used as curtain tiebacks. Curtain knobs resemble doorknobs, with a knob on a stick, which anchors directly into the wall. 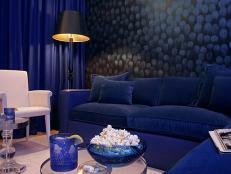 They have a timeless quality to them, which makes them work in any style room. Knobs can be real doorknobs (check Etsy and eBay for affordable, pre-assembled knobs), decorative knobs in a multitude of shapes, or flat discs. 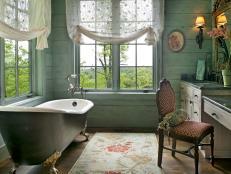 These are typically made of metal and wood, though many of the vintage doorknobs also come in glass. 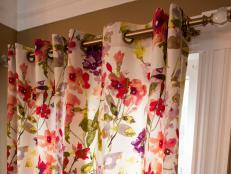 In addition to decorative holdbacks, curtain hardware includes hooks and rings, from which the curtains are suspended. These also come in a variety of colors, shapes and sizes. 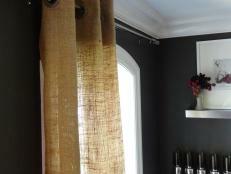 Polished pewter drapery hardware adds coolness to the otherwise warm aesthetic of the nursery/guest room. For a touch of tailoring, the drapery fabric was pleated with a style referred to as "tailored" or "top-pinch," a favorite among transitional and modern interior designers. 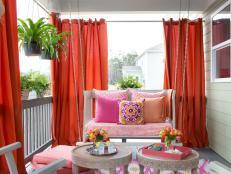 Typically, hooks are used in installations where you don’t want the hardware to show, such as formal installations with pinch-pleat curtains. 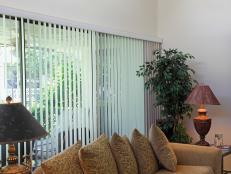 Curtain rings often become part of the window treatment’s style. Rings now come with clips on the end, which takes the drudgery out of hanging curtains. 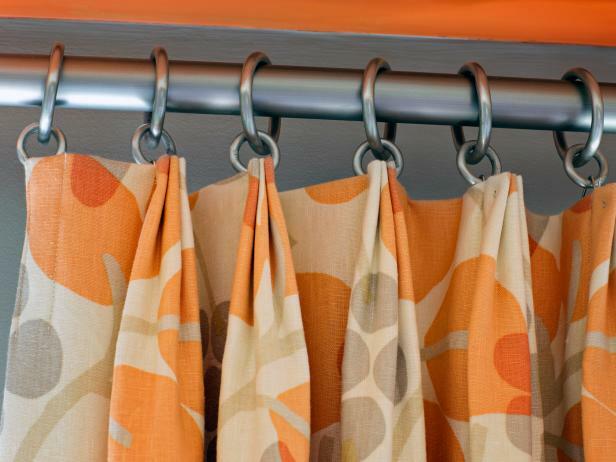 Simply slide the rings over the curtain rod and clip the curtains to them.